Golden colour Muscovite Formation from Brazil approximate size: 105mm x 71mm x 32mm*actual item..
muscovite and albite, lovely formation from Brazil. approximate size: 63mm x 32mm x 42mm*actual ite..
Muscovite Wafer Formation from the Himalayas, rarer from this area. 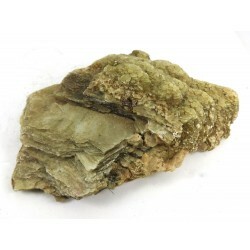 approximate size: 102mm(4"") x ..
Muscovite with Quartz Point Formation approximate size: 90mm(3.5"") x 86mm(3.4"") x 31mm(1.2"") *ac..